Many children have a natural love of the water. Summer vacations are often spent splashing and laughing with their friends in the backyard pool or the beach. However, for other children, the water can cause a great deal of anxiety. To help children overcome a fear of the water, parents should make a gentle introduction and move at the comfort level of the kids. By showing children that the water can be fun and taking care to not add to the fear, parents can help their children find a lifelong love of the swimming. The initial goal of introducing your children to the water is to create a comfortable environment for them to develop an understanding of how water works. Start in the bathtub or with a small kiddie pool in the backyard. Use warm water, which is more relaxing than cold water, and only fill it up to their legs. As they’re sitting in their shallow, warm water, bring in their favorite toys. Some of the toys should float and some should sink, so that the child can begin to make visual sense of it all. Once a child become comfortable sitting in the shallow water, add a cup or bucket to the mix, so he can begin to experiment with pouring the water over his skin. Be cautious to not pour the water over his face until he is ready for it. Begin by pouring it over the back of his head, and then slowly let some of it dribble forward. Take it slow, as this can be scary for the child. One of the best ways to begin developing comfort with getting a child’s face wet is to make a game out of blowing bubbles. As the child gets her face closer to the water, she’s naturally gaining an understanding of how the water works and whether she needs to fear it or not. Once the child has progressed past his fear of water in the bathtub, it’s time to sit next to a pool. Dangle your feet into the water with the child close to your side. Encourage him to do the same. Once they are comfortable with that, try sitting on the top step in the pool. As the child’s comfort level increases, continue to progress a little deeper with the goal of getting them to stand on their own while immersed. Children are more likely to try something new when they see their friends or siblings enjoying the activity. Additionally, they’re fantastic at mimicking. Play games with the children in the water that encourage them to focus on something other than the water around them. Professional swim instructors are not only trained to teach your child how to swim; they are also prepared to help your child overcome fears. By arming your child with the skills they need to swim, you’ll replace anxiety with a sense of accomplishment. Premier Aquatic Services swim instructors use an exciting approach to help swimmers of all ages learn the skills necessary for a lifetime of swimming enjoyment. To learn more about our swim lesson programs and register family for fall swim classes, visit our aquatic services page. For more information on water safety, follow us on Facebook. We all loved the sun-kissed look of summer skin, but a day in the sunshine requires extra caution to ensure your health and safety. Believe it or not, the energy that comes from the sun is actually a form of radiation. Our atmosphere blocks much of the dangerous radiation, but two types of rays make their way through – Ultra Violet A (UVA) and Ultra Violet B (UVB). With the depletion of the ozone layer, these rays have become a more pressing health concern. No one likes to think about it, but overexposure to the sun can cause more than just painful sunburns, including skin cancer, eye damage, and premature aging. With some simple precautions, you can limit your risks and enjoy the season safely. Use Sunscreen. 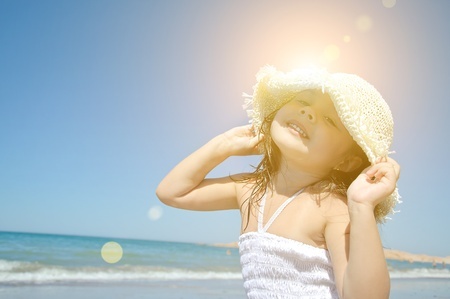 When you will be exposed to the sun, be sure to use a sunscreen that blocks both UVA and UVB rays. Sunscreen should be applied 15 minutes before sun exposure and should be reapplied after 2 hours of water exposure or sweating. Also, don’t forget to protect lips, ears, and the tops of your feet. Protect Babies. Sunscreen isn’t recommended for babies under 6 months old, so it’s important to keep your baby in the shade as much as possible. If you are outdoors, bring an umbrella or use the shade in the baby’s stroller. Wear Protective Clothing. Whether this means a wide-brimmed hat and sunglasses at the beach, a rash guard when surfing, or long sleeves when hiking, cover your skin as much as possible when playing in the sun. Mind the UV Index. The National Weather Service calculates the UV Index, or the level of solar radiation expected, for most zip codes each day. Lower numbers mean a reduced risk, and higher numbers mean you should limit your sun exposure. Be Aware of Timing. If you can’t see your shadow, you are in a peak time for sun exposure. Between the hours of 10:00 and 4:00, the sun is at its strongest. By being aware of the time of day, you can make the decision to seek shade more than sunshine. Understand Reflection. Water, sand, and snow all reflect the sun’s rays, making overexposure happen faster. So regardless of the time of year, be aware of how your environment is impacting the strength of the sun. Protect your skin properly, so you can enjoy the day. Avoid Sun Tanning. We understand that you value your sun-kissed skin, but avoid sun tanning as much as possible and certainly avoid tanning beds. You may with to try experimenting with self-tanning lotion, but don’t forget that it can’t replace sunscreen. At Premier Aquatic Services, we are dedicated to ensuring the safety of our community members. We live in an environment of year-round sunshine, so we need to remember to take the proper precautions to keep ourselves safe. Additionally, we should always have a skin exam as a part of our annual doctor visits. To learn more about issues relating to your child’s health and safety, sign up for one of our classes, enroll in swim lessons, or simply follow us on Facebook. 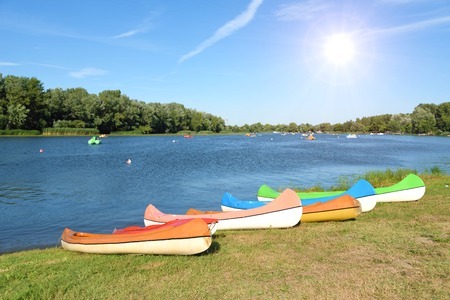 This summer, many groups will be headed to pools, lakes, and beaches to escape the heat and enjoy some fun. Regardless of whether it’s a church group, summer day camp, or community organization, group outings can be a fun and potentially dangerous scenario, especially when water is involved. While group outings seem like a safer situation because there are so many individuals that could be looking after your child, sensory overload can cause the adult supervisors to lose track of individual children. To help parents evaluate their child’s safety in a group setting, the American Red Cross offers some essential questions to ask before your child gets on the bus. May I see the written safety plan? Supervisors should have a plan to help maintain the safety of the children in their care. By asking this question before the departure date, you could help bring their potential lack of planning to their attention and help to ensure the safety of others in the group. Will the group only be swimming in areas with a certified lifeguard? Whether at the pool or beach, it’s important for parents to know if a trained lifeguard will be monitoring the children’s playtime for saftey. For effective surveillance of the water and optimal safety, the standard rate of swimmers to lifeguard should not exceed 20-to-1. What is the chaperone-to-child ratio? A group outing with five chaperones sounds great, until you hear that 100 children will be present. By understanding how many children each supervisor will be responsible for, you can make a better judgment on the plan that the group has in place. What activities are planned, and how will they be supervised? Different water activities pose different risks. Additionally, some activities may require more skill in the water than others. By discussing the activities that are planned, you can help the chaperones understand your child’s skill level in the water. How will a child’s swimming ability be evaluated and tracked? Whether it’s color coded swim caps or specified groups based upon ability, it’s important for individual chaperones to understand the abilities of each child in their care. How will children be prevented from participating in activities that are above their skill levels? Especially in a large group, it will happen; some children will not have the necessary skills to participate in all activities. In that case, where will those children be directed and who will supervise them? Is there a system in place to quickly account for all children? Whether it’s role calls, buddy systems, or small group counts, every group outing should have a way to quickly and efficiently know whether every member is present. This process should be practiced at least once at the beginning of the outing. 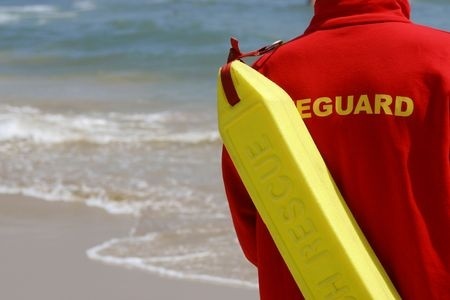 What levels of training are required for the staff (such as lifeguards) and chaperones? Understand whether the lifeguards are certified lifeguards, and ask about the skills of the chaperones. Are they trained in water safety, first aid, and CPR? At Premier Aquatic Services, we specialize in keeping our community safe around the water. If you plan on having regular group outings during the summer and fall, you may consider enrolling your regular chaperones and supervisors in one of our Health and Safety Classes. If you are hosting an event at your local pool, you may consider hiring a professional Certified Premier Lifeguard to ensure the safety of your guests. Regardless of your needs, the team at Premier Aquatic Services wants you to have safe group outings all year round. Contact us to discuss what we can do to help you promote safety. For more water safety tips, follow us on Facebook. The summer is officially in full swing. With the Fourth of July holiday weekend just days away, now is the perfect opportunity to freshen up on some tips for keeping your children safe during celebrations that take place around water. Inspect Your Safety Fence – With our beautiful, year-round weather, homeowners should inspect safety fences around pools and water features at the beginning of each season. However, it’s especially important to inspect it before having any summertime celebrations at your home. 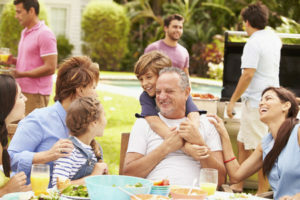 For more tips on preparing your home for a safe summer, read our blog: Residential Pool Safety Tips for Your Summer Fun. Have a Water Watcher – This may be the single most important step for water safety during the weekend’s festivities. With a buzz of activity, it’s easy for an adult to get distracted by conversations, introductions, or other hosting duties. Every time you have children around water, it’s important to designate someone to be the Water Watcher. This individual’s sole responsibility is to supervise the pool and ensure everyone’s safety. Teach Children to Swim – The best defense against childhood drowning is to teach your child the skills he or she would need to stay afloat in water. At Premier, we teach children of all ages, so that they can enjoy a lifelong love of the water. Understand Their Ability – Not all children have the same abilities in the water. Especially when enjoying the water with children of ranging abilities, it’s essential to understand your child’s ability and monitor his or her activities in the water accordingly. Recognize Their Curiosity – From one day to the next, a child’s curiosity can change. This can be dangerous around the water, as a curious child may venture too close to the pool, ocean tide-line, or fountain. Avoid Floating Toys – While lots of fun, floating pool toys can give children a false sense of security and invite them to adventure above their skill levels. 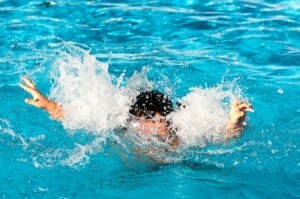 Discourage Competitive Underwater Games ­– Games such as “who can hold their breath the longest” may seem like innocent fun, but they can lead to hyperventilating or losing consciousness. Keep Pool Toys Hidden – Children who see something that they want can become determined to get it. Whether fun toys are inside the pool gate or simply sitting near the water, it can invite kids to get closer than they normally would without an adult. Walk the Property at Parties – Summer parties often take place at someone else’s home. Just because there isn’t a pool in the backyard doesn’t mean there isn’t a drowning hazard around. Before letting your kids run off into the yard, walk the property to look for fountains, hot tubs, or other water features. Check the Pool First – If a child goes missing, always check the water first. When it comes to drowning, every second counts. Whether through childhood swim lessons or American Red Cross first aid courses, our #1 goal is to help create a safer community. For more information on drowning prevention, please read our two-part series: Reducing The Risk Of Childhood Drowning. From the entire team at Premier Aquatic Services, we’d like to wish you a happy and safe Fourth of July weekend. It’s National CPR-AED Awareness Week, and people across the country are taking the time to stop and recognize the importance of CPR-AED training and certification. Cardiopulmonary resuscitation, commonly known as CPR, is a lifesaving technique that can be administered to someone during an emergency. CPR is commonly used on a person who has drowned or experienced a heart attack, causing their heartbeat or breathing to stop. CPR saves lives every day in sudden cardiac arrest situations, and it is important for your whole family to be knowledgeable and prepared to help in case of an emergency. Sudden cardiac arrest is the #1 cause of death in the United States today. Because only one third of these people will receive CPR by someone before medical help arrives, the survival rates are surprisingly grim with approximately 11% of SCA victims survive the attack. 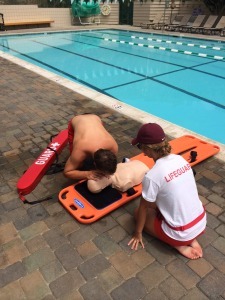 At Premier Aquatic Services, we recognize that the more people who are armed with CPR and AED training could potentially triple the survival rate. CPR and AED certification is important training to have. The team at Premier Aquatic Services offers American Red Cross CPR, AED, and First Aid programs to help participants recognize and respond appropriately to cardiac, breathing, and first aid emergencies. Emergencies happen without warning, and these skills could make a life or death difference in the life of a loved one. It is essential to get professional training to be prepared for the unthinkable, but here are some steps to keep in mind. Call 9-1-1. Before beginning CPR, be sure that someone is calling 9-1-1. If you are alone, call for help immediately. If you are with others, assign the task to someone. It’s important to note that assigning the task is important so that there isn’t a misunderstanding about whether someone called for help or not. Use an automated external defibrillator (AED), if possible. An AED is a portable device that can check a victim’s heart rhythm and, if necessary, deliver an electric shock through the chest to the heart. In the event of a sudden cardiac arrest, this shock can stop an irregular rhythm and allow a normal rhythm to resume. Proper use of this device is taught in our training. Begin CPR. CPR compressions help to keep the victim’s blood flowing to their brain and keep them alive. However, improper procedure can cause more damage than good. Being trained in CPR will ensure that you are able to assist someone if they need your help. Let the Medical Professionals Take Over. Once they have arrived, allow the professionals to do their job and help save the person’s life. At Premier Aquatics Services, we believe in preparing all of our clients with lifesaving skills. From child swim lessons to American Red Cross CPR Certification, we provide training all year long. Join people across the country in celebrating National CPR-AED Awareness Week by enrolling in a Premier Aquatic Services health and safety program. To learn more about the Top Reasons CPR Education Is Important For Your Family, visit our blog or sign up for our Newsletter! 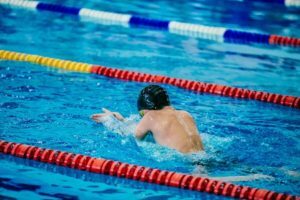 As your child progresses through his or her swim lessons, it’s natural to have questions about the skills being taught and why certain techniques seem to be so important. While children are younger, the goals for their swim lessons tend to revolve around learning to be safe in and near the water. When they have become proficient at the basic skills, the goals tend to turn towards proper techniques, so they can enjoy the benefits of swimming long into adulthood. Many swimmers, both young and older, often use a head above water variation of the breaststroke. Perhaps it’s because the swimmer is uncomfortable putting his or her face in the water or because he thinks he is using less energy. Regardless of the reason, swimming the breaststroke with your head above water can put a significant and unnecessary strain on your neck. Imagine walking for twenty minutes with your face pointed straight up towards the sky. After your stroll, you’d have quite a neck ache! Swimming the breaststroke with your head above water puts your body in essentially the same position. Position your head slightly forward with a mild tuck in your chin to help you keep your neck straight. Pull in your abdominal muscles to support your straight back. Keep your hips as close to the surface as possible to avoid a bend in your lower spine. As your arms start the pull phase, bring your head out of the water and breathe in through your mouth. Keep your head and shoulders relaxed and free from tension. As you reach your arms forward in the recovery stage, extend your head forward into the water with your ears in line with your biceps. Exhale slowly through your nose or mouth. Developing a proper technique for any swim stroke takes time and training, but these tips will help you avoid straining your neck and back while you perfect your efficiency in the water. Remember, learning the proper technique for swimming the breaststroke and all other swim techniques is a rewarding accomplishment at any age. The experienced swim instructors at Premier Aquatic Services are trained to work with swimmers of every age and ability. Visit our Swim School to learn more. Contact us for more information at 949-535-3805 or by email at admin@swimoc.com. It’s a terrifying thing to think about – your baby falling into the water in the exact moment your attention has been redirected elsewhere. According to the CDC, fatal drowning is the second-leading cause of unintentional injury-related death (behind motor vehicle accidents) for children between the ages of 1 and 14. With statistics such as that, it’s no wonder parents are searching for ways to protect their infants from drowning. Many parents are turning to survival type swim lesson programs, which may be doing more harm than good. What is Survival Swim Training? Simply put, survival type training, as opposed to child centered training, is a technique used to teach babies and children. It teaches the swimmer to float on his back if he suddenly finds himself emerged. To most parents, this sounds like a great skill for a child to have, and we agree. However, the techniques used to teach this skill has prompted significant controversy and, in our opinions, can cause unnecessary trauma to the child. Ultimately, these types of lessons teach by simulating drowning scenarios with the intention that the child will learn to float on his back. For very short durations over 5-10 consecutive days, babies are continually submerged under the surface, either being released so they go under on their own or pushed under by the instructor. The instructor then manipulates the baby’s body to flip over and float, with the intention that the reaction will become a learned behavior. Why Are Survival Type Swim Lessons Bad for My Baby? In survival type classes, babies are repeatedly submerged underwater while their parents look on from outside the pool. Babies cry and scream, unable to understand what is happening. The concept is that over time, the babies will learn to flip themselves over and float. In the process, they inhale water, panic, and often develop a lifelong fear of water. During these types of classes, lessons need to periodically be put on hold so babies can burp and spit-up the water and air they have inhaled. While the child screams out, parents are instructed to cheer for the baby and not offer help. After lessons conclude, babies lay on their left side for a period of time to help them get the remaining water and air out of their lungs and stomach. While babies are enrolled in survival type classes, parents are required to carefully track the child’s urination and bowel movements for signs of hyponatremia or water intoxication. Additionally, parents watch for vomiting, unusual exhaustion, coughing, and trouble breathing, which could be signs of dry drowning or secondary drowning. Aside from what we see as physical dangers associated with survival type classes, we recognize the emotional impact classes have on babies. The trauma of survival type classes often leads to a fear of the water and distrust of swim instructors, teachers, and even the parent that watches from the side of the pool. At Premier, we understand the importance of baby swim lessons which are based on a child centered learning environment. Our early childhood swim classes are designed to teach children the five essential swimming skills every child should know while nurturing a love of the water. In our early childhood swim classes, parents are in the water with their children, providing a safe atmosphere and productive learning environment. We teach children essential lifesaving skills and develop proper swimming techniques. Many of our older students have come to Premier with a fear of the water developed in survival type classes. They are able to turn and float, as learned in their survival type classes, but they are unable to actually swim. The certified swim instructors at Premier Aquatic Services are trained to teach students of all ages and abilities to develop skills, overcome fears, and increase their self-confidence in a fun, productive, and most importantly, loving environment. To learn more about our swim lesson programs and register family for winter and spring classes, visit our aquatic services page. For more tips on reducing the risk of childhood drowning, visit our two-part blog series. For more information on water safety, follow us on Facebook. Premier Aquatic Services is proud to be a partner of the Safer 3 Water Safety Foundation, and each of our team members is passionate about the Safer 3 vision: to create a world without drowning. It’s easy to forget that bodies of water (and the subsequent risk associated with it) surround us all the time. Especially in Southern California where many homes have year-round access to pools and spas, it’s essential for adults to take the time to identify where there are water risks and learn how to reduce the danger. Most adults forget seemingly innocuous bodies of water, such as bathtubs. By teaching each of our community members to install barriers, including isolation fences around backyard pools, we can reduce the chances that a child will access the water without supervision. Stressing the importance of constant responsible supervision by adults while near a body of water. Arming children with swimming skills attained through ongoing instruction by qualified swim instructors. All of Premier Aquatic Services’ swim classes are aimed at teaching children how to keep themselves safe in and around the water. Whether it is early childhood swim lessons or summertime swim teams, our primary concerns are safety and skill building. Many people don’t realize that a common, instinctual reaction when faced with a water emergency is to jump in after the person who is in trouble. Safer Response works to replace those reactions with effective responses such as using rescue equipment, alerting lifeguards, and calling for help. Through first aid training, water safety classes, and swim lesson programs, Premier Aquatic Services is dedicated to providing our local community with the skills they need to be safer in and around the water. However, a vital component of the Safer 3 is education. The experts at Premier Aquatic Services visit schools, youth conferences, and other events to speak with children and educators about water risks, safety, and drowning prevention. Contact us to book a Safer 3 presentation for your classroom or youth group. Four out of five sudden cardiac arrests happen at home, according to the American Heart Association. With nearly 383,000 sudden cardiac arrests happening outside of a hospital each year, that’s a scary statistic. What’s even worse is that nearly 70% of American bystanders feel helpless in the event of a cardiac arrest emergency because they either don’t know CPR or have let their training significantly lapse. Cardiopulmonary resuscitation (CPR) is a lifesaving medical technique that is useful in many emergencies where someone’s breathing or heartbeat have stopped, including heart attack and drowning. CPR is a combination of chest compressions and breathing assistance ideally administered while awaiting the arrival of emergency professionals. No one ever wants to be in a situation where CPR is necessary, but the unfortunate reality is that many of us will be faced with such a situation. We have the ability to learn the skills to take care of one another and make a significant difference in the survival rate of someone who is experiencing a medical emergency. 88% of cardiac arrests happen in the home. Many heart attacks and cardiac arrest situations come with few obvious warning signs. Drowning is the leading cause of death from an unintentional injury for children between the ages of 1 and 4. It can only take one minute for a child to drown. Effective CPR administered immediately after cardiac arrest can double or triple the chances of survival, but only about 32% of victims receive bystander CPR. Statistically speaking, if you are faced with a cardiac arrest emergency, it will likely be in your home. We know how important it is for you and your family to know what to do in the event of an emergency. While younger children should be taught how to call for help, older children can enroll in CPR classes alongside their parents. Click here to learn more or enroll in CPR classes today! Sign up for our Newsletter to receive discounts on off-season swim lessons!